This past Sunday, many of you might have tuned in for the 56th Annual Grammy Awards. If so, you saw many great performances that included the use of lighting, special effects, and professional camera work. 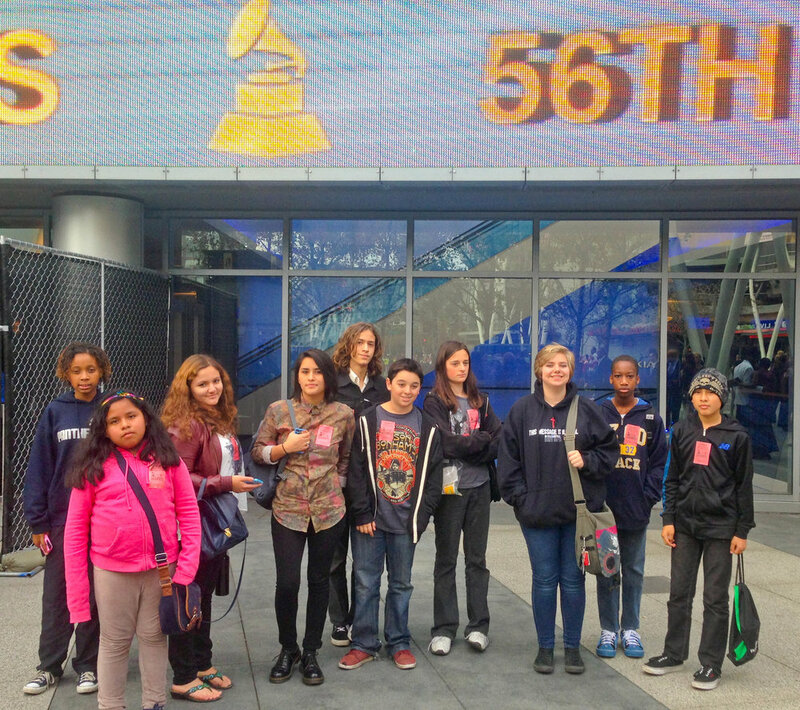 Youth participants of our Art Mentoring Program were invited to observe the Grammy Awards’ dress rehearsal to get a better understanding of a live television broadcast. The invitation for students from our Advanced and Intermediate film workshops to experience this special opportunity came from Jody Roth, who works at CBS and who is a Volunteer Mentor for our Reel Visions class. The rehearsal consisted of running through the entire program, including the performances, to ensure that the live show went smoothly when it aired. During the rehearsal, Jody explained to the students the general proceedings of the program while we were treated to live performances by some of the most popular current music artists such as Beyoncé and Daft Punk. The performances also included legendary musicians such as Stevie Wonder and The Beatles’ Paul McCartney and Ringo Starr. This experience was a favorable circumstance for the students to witness the extensive work and effort that goes into putting on a live television event to be aired nationally! This was an entertaining and informative way for the students to experience film and television production in a professional environment, and the students and I had a great time. A huge thanks to Jody for making this wonderful opportunity possible for our students! Newer PostNew York Times Lens Blog Features Work by Venice Arts Students!